Mount Paul Golf Course is located in the heart of downtown Kamloops. Our full service facility is an executive 9 hole par 32 course. We have a driving range with 20 covered stalls and an upper deck with 10 stalls. Our fully stocked ProShop is staffed by CPGA of Canada professionals who can help you with anything from a new bag of tees to a custom set of clubs. 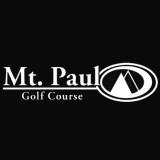 Mount Paul appeals to the old and the young, the experienced and the novice golfer. We can offer lessons to all levels of golfers. So if you're new to the game and need someone to start with the basics or if you just want to improve your swing we will match you up with one of our CPGA professionals. Our clubhouse restaurant is fully licensed with a full and varied menu. Our covered patio overlooks the course and is an ideal place to enjoy some refreshments after a great game with friends. We have the best facility in town for group tournaments.